Most people are very familiar with eCommerce online shops (online stores that give consumers access to purchase from a seller over the internet). But it’s a fact that choosing the right e-commerce online shop builder is a rigorous task because there are a lot of online shop builders that give different functionalities but Shopify is one of the easiest and less complicated e-commerce platforms that can efficiently help you create your online shop. Shopify is an extensive e-commerce platform where commerce can be carried out. Purchases can be made and sales can be done anywhere and anytime. This is the reason why Shopify is really extensive because it covers all forms of sales and purchases whether online sales, social media sales, Marketplace sales, etc. Shopify can make all this possible. Now, this is how Shopify works. Shopify allows you to create for yourself an online store for you to sell your products. It is a complete platform where you can organize your products, make changes to the type products you deal in, customize your shopfront, accept payments made using a credit card. It also allows you to track orders made on your products and also respond to such orders. 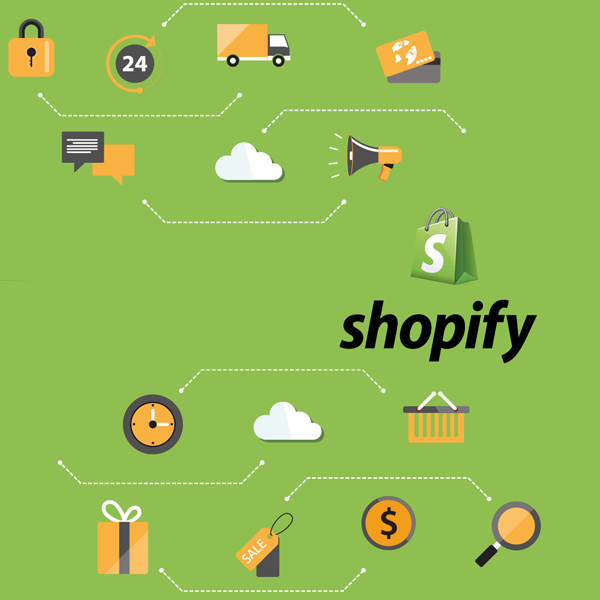 This makes Shopify a complete e-commerce solution platform just for you. All you need to start selling on Shopify is, first of all, Shopify which is already available, you also need a product to sell, and a credit card to foot the bill for your online shop on Shopify. You don’t need to start bothering yourself on how to go about the installation of the system because the Shopify platform is a web-based e-commerce software, meaning that there is no installation required. All you need is a working mobile phone or computer and the web address (www.shopify.com.ng) then you register or login to Shopify, proceed to the online store and register your email to get started with the 14-day free trial with no credit card required. After the 14-day free trial, then a credit card will be required and there are pricing plans you can choose from depending on which best suits you based on nature and also the size of your enterprise. If you have an existing website and you want to integrate it with Shopify, Shopify can also do that. All you need to do is to point your domain to Shopify servers. This can be done by your domain registrar. Shopify offers real 24 hours/ 7days support through their phone support, email or online chat. Shopify can handle a wide range of businesses such as clothing and fashion, electronics, sports, toys, games, arts, accessories, photography, etc. Shopify helps you to integrate your physical retail shop sales system with a Shopify online store using Shopify’s Point of Sale (POS) System. Shopify provides you with tools to organize your products into different categories so that prospective customers can easily find what they need. Shopify accepts payment from 70 different payment processing platforms and in different currencies.